This book is available for purchase in the Lincoln City club shop. How the mighty can fall. A three-goal home defeat to Aldershot on 7 May 2011 consigned regional footballing superpower Lincoln City to relegation from the Football League. It was an unexpected and potentially fatal position for a club of Lincoln’s size and history to find itself in. Desperate for an immediate return to League football, Lincoln’s renaissance from the depths of the Conference took six painful years. Five years of crushing mediocrity carried the club further and further from football’s elite, and it was not until April 2017 – under the stewardship of the inspirational Danny Cowley – that Lincoln made their triumphant return to League Two as National League Champions. In the words of Cowley himself, it was a minor football miracle. Six Years In Purgatory: The Story of Lincoln City in The Conference 2011-2017 presents a comprehensive day-by-day record of The Imps during those six years in football’s wilderness. Every league and cup game is detailed, together with transfers, tales from the boardroom, years of dire financial struggle and, finally, that glorious 2016-17 rollercoaster ride which ended with promotion and a record-shattering FA Cup campaign which brought Lincoln City global exposure. All 147 players to have appeared for the first team are covered in detail, together with a retrospective of each manager and a host of relevant statistics. The long and tortuous road endured by the club and the Sincil Bank faithful is laid bare for all to see. 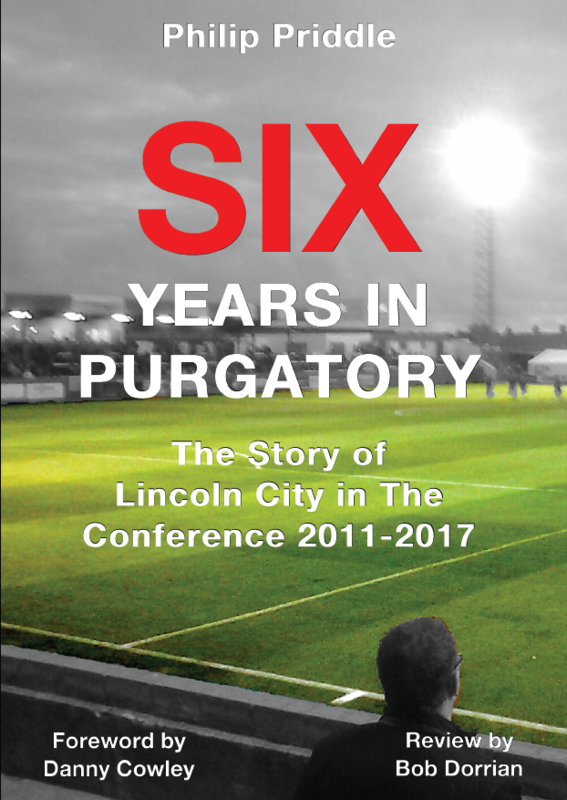 With a foreword by Danny Cowley and a detailed personal review by Chairman Bob Dorrian, Six Years In Purgatory is a must-read for all Lincoln City fans.